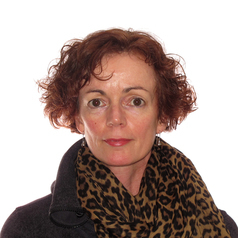 Patricia McGettigan is a clinical pharmacologist. Following training in pharmacy and medicine and completing an MD in pharmacoepidemiology at the University of Dublin, Trinity College, she worked in clinical pharmacology, medicines evaluation and pharmacoeconomics at the Newcastle Mater Hospital and the Department of Clinical Pharmacology at the University of Newcastle, New South Wales, Australia. Since 2011, at the William Harvey Research Institute, Queen Mary University of London (QMUL), she leads prescribing and therapeutics training in the undergraduate medical curriculum and is a consultant physician at Barts Health NHS Trust providing in-patient care with the cardiology team and establishing with colleagues in HIV medicine a joint specialist HIV-cardiovascular risk management clinic. Her research is pharmacoepidemiology-focused and includes medicines access studies, investigations on the mitigation of NSAID-associated adverse events and examination of co-morbidities among HIV-positive people in the UK. She is currently on secondment at the Pharmacovigilance and Epidemiology Department of the European Medicines Agency where she leads the Patient Registries Initiative.